Mark Kitteridge has been fishing with PFK Super-Braid fishing line over the last year. He has put together a really good report on fishing with spectra and included many catch photos of big fish, including giant trevally, he caught while visiting the tropics. This is a MUST READ article from Mark and covers many of his recent fishing experiences in Tonga. So far January has been shaping up quite nicely, especially for those fishing late afternoon through to dusk. Our best fishing has been in depths from eight to twelve meters. 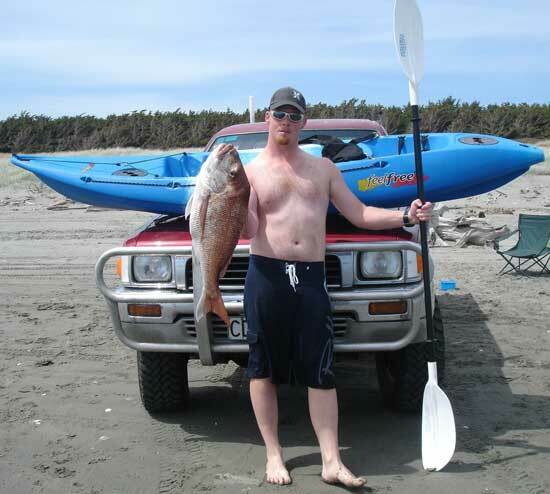 Whether you kayak fish, or are a kite fisher with a dropper rig, the East Coast Bays can provide some awesome fishing. I usually kayak fish with Peter Vesetolu and we always have a friendly bet on who gets the biggest fish. My latest trip out from Browns Bay was on an incoming tide with slightly overcast skies and a low swell. I opted for centre of the beach on a bearing with the green marker of Browns Bay Reef, Sky Tower and the boat ramp in alignment. This particular spot has a clump of foul that often produces a lot of solid fish, I was confident the biggest fish of the day was here. Pete opted for running his longline 20 meters west of the green marker and along the face of the reef. While this shot can produce huge snapper at times, it is much more difficult to fish because of thick kelp. On our first sets I was happily hauling in snapper up to three pounds while giving Pete a bit of stick over the lack of fish on his line, and numerous clumps of weed he had snagged. Pete just shrugged his shoulders saying "It's not over yet mate, lets see who's laughing when the days done". While hauling our last sets I looked over to Pete and noticed him going sideways. I yelled out to find out why and he replied " Bugger mate, I think I'm snagged up again". By this time my two biggest fish were around four pounds each. After stowing my gear below I paddled over to Pete who said " I think you have done me again mate". But once ashore, my jaw dropped and a sly smirk crept over Pete's face as he revealed his catch for comparison to mine. You guessed it! The old fellow had really cleaned up and had caught nine snapper ranging in size from four to nine pounds - ALL were caught on that final set. Pete and I have recently been trying out some new kayak fishing locations with alternative fishing methods such as using Paul's new flasher rigs, as well as some with our own colours and variations. We have used this gear on the Kayak Longlines as well as from boat rods. We have also tested running longer traces up to two meters in length. It has been a very interesting exercise and we will report on the results here soon. 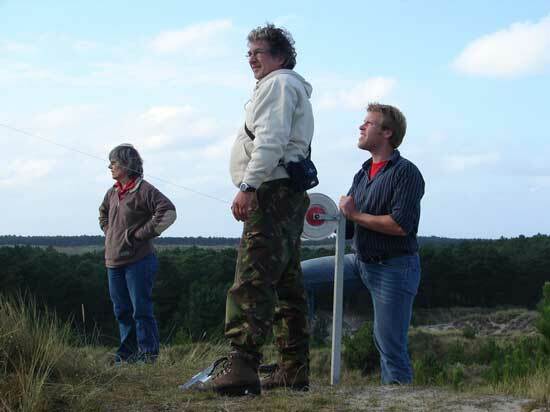 You will never guess what this group of Dutch kitefishers are up to! 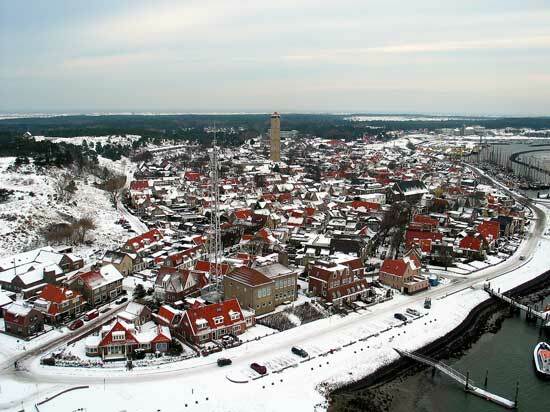 I live in the north of Holland on a Island called Terschelling. 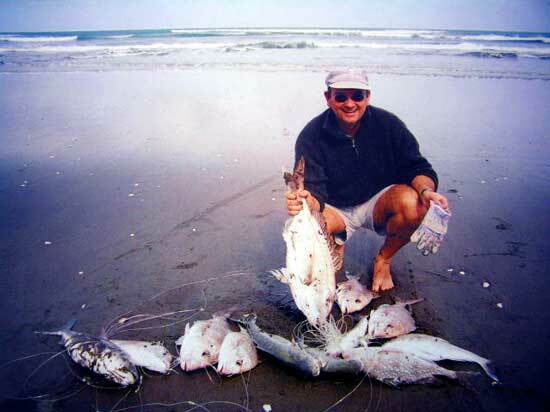 Last time I was in New Zealand I bought a Paul's Fishing Kites rig which I have flown for almost 15 years now. Over the last few years the fishing has been slowing down here, as it is all over Europe. Because of this I have put the fishing kite rig to a different use, kite aerial photography - KAP for short - with great success. Over the last five months I have photographed the whole island where I live. The results have been fantastic - A birds eye veiw of where you live is really unique. Everybody who has looked at my photo album has wanted to buy it. Finally I decided to get it printed. It's not quite ready yet, but the layout is well underway and printing will start soon after. 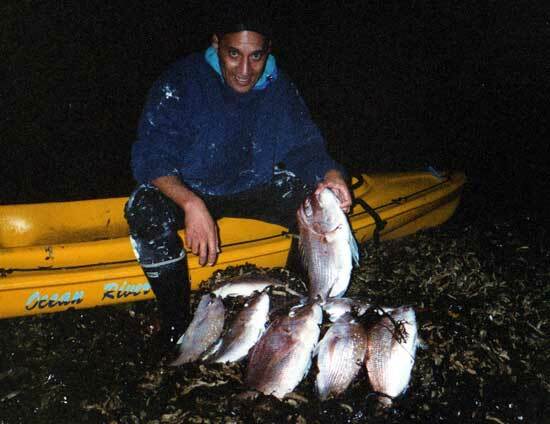 I am flying back to New Zealand soon and plan to stay for 18 days, I hope to do lots of fishing before returning. 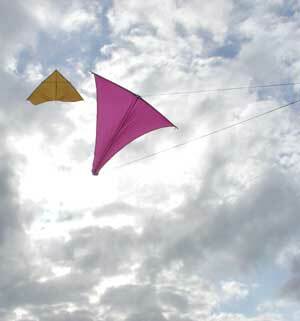 Photo Above: The camera lifting Super Kite and Skyhook are launched. Right: The camera bracket is attached once the kites are in clear air. ED : Gerry dropped in to the shop and spoke to Rob about kite aerial photography. His original kites are a Super Kite and Skyhook which are starting to get worn and are down on performance after 15 years of regular use. He got another Super Kite plus a Nighthawk Kite for more options when the winds are lighter. Rob suggested that a Power Chute or Mega Mouth would be the best kites for lifting loads. Gerry just loves our Delta kites for hauling cameras skywards and decided to replace the kites with the delta's he was used to. This is because of the tacking ability, which comes in handy for getting the camera exactly where he wants it. I hope Gerry catches plenty while he is here and puts some New Zealand fishing catches in his book. I also hope he sends more detailed information on kite aerial photography. On Sunday 19 Feb I towed my long line out with a kayak. This 15 pound snapper was the only fish caught . 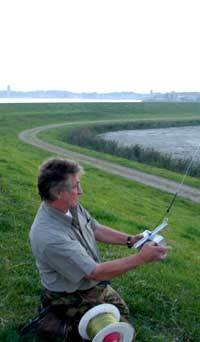 Above: Peter Martinovich kitefishing three kilometers north of Rimmer Road on 11th Sept 2004. We use a 65kg Dropper Rig powered by a Nighthawk Kite. 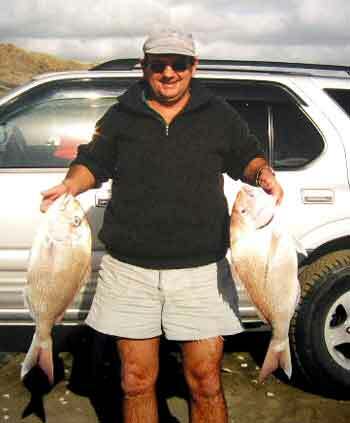 On the first set of the day the 12 traces returned with 12 fish, eight snapper up to six pounds and four large kahawai. It was an incredible haul and our first one hundred percent hook-up. The photo above is exactly as we pulled them onto the beach. Such a compact birdnest of nylon and fish that we could have thrown a blanket over the whole lot. The second set of 12 traces, returned 10 snapper of similar size. Miss a newsletter? Check out the back issues!